Where did you get the cowl that eliminates passenger seat an bar? sweet. That adds a very sleek finish. Only pics I currently have so its a double post from my member introduction. 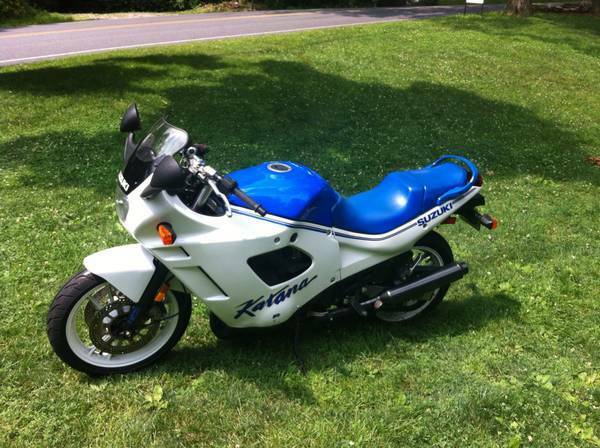 1988 Katana 600 with 12,000 miles. 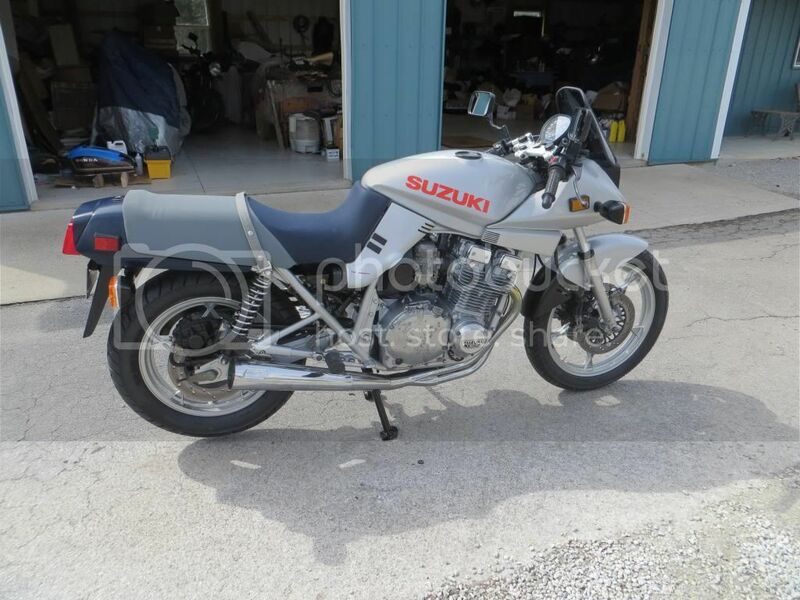 You know your a KatRider when you sell a nearly new perfectly running low miles bike... and buy a 13 year old non running Katana. These are some beautiful bikes. I actually think i like the pre kats more than the posts. I definitely think they look more sporty, which IMO is a good thing. Nice bikes! Even though I own a post Kat, there is a whole another story for that, I always liked the prekats. I remember when I was 15 or 16 a 1990 or 91 Kat 750 or 1100 crested a top of a hill by us teenagers on our freestyle bikes pulling the front wheel. The sound and dual exhaust, my mind was set, that was the bike I wanted. Time went on, college, marriage, and family. Now that is in order, (after my wife pics out a bike for herself), a prekat is on my list. To me, they were more sport than touring. The post Kats are more touring imo. Finished high school in '86 and I remember when the Kat name came back. It seemed at the time they intended it to go against the Yamaha FZR, Ninja 600 and the Honda Hurricane 600. After only a couple years they stopped trying to keep up. Intro the GSXR 600 to do that job. It is great that they did not just drop the line. As most here would agree, the pre and post Kats are fantastic low budget bikes that we end up loving. Now the early 80's Katanas, let's just say the Original gets looked at as a cool vintage bike. Though the original seems docile by todays standards, it was a beast.